“The left wants power taken away from the white establishment. They want a profound change in the way America is run. " I admit that I am embarrassed by the post-election opposition to Trump. Millions of dollars were raised by the Greens for a recount that went no where. It was obvious from the start that the actual outcome of the election was not going to be changed by the recount. Was anything found that has identified a practice that must be stopped, or a reform that must be made? Millions of signatures were collected in an effort to change the minds of the electors. The result was that GOP electors held firm, while leftwing Democrats started wandering off to other candidates, including Sanders. Not a shred of strategy and coordination visible to the naked eye. Again, the chances of success were so small that the effort was guaranteed to fail. It was not only doomed to fail, but doomed to never even get off the ground. Now, I read that we are all supposed to turn our lights off the night of the Inauguration. Because it can be seen from space! I doubt it. And who is up there to be impressed? Each of them have agreed to allow me to interview them on Zoom for this blog. I am hoping to do at least two interviews with each of them. The first will be about them, their family and religious background and their call to ministry. 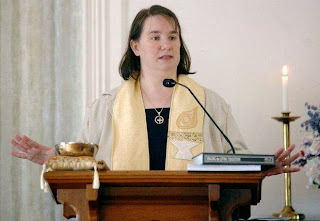 The second will focus more on their views about current issues in Unitarian Universalism. Each interview will be about 30 minutes. I hope that these interviews will provide a closer and more personal look at them than what has been usually available in these campaigns in the past. The first round of interviews are now complete. Trump is gonna Trump. The give and take of Washington politics will unfold as it will; there is very little that we citizens can do about that. Did all those marches and demonstrations stay Bush's hand when he was set on invading Iraq? But the gravest danger of the Trump election is that it legitimizes and normalizes hate speech, bullying, harassment: speech that demonizes. It has the potential to normalizing bigotry and misogyny, allowing the most dangerous elements of the society to function openly and to intimidate the rest of us into silence and acquiescence. That does not have to be. 1The House of Representatives shall be composed of Members chosen every second Year by the People of the several States, and the Electors in each State shall have the Qualifications requisite for Electors of the most numerous Branch of the State Legislature. Stevens, John Paul (2014-04-22). Six Amendments: How and Why We Should Change the Constitution (p. 135). Little, Brown and Company. Kindle Edition. I wrote those words a few weeks ago, and people want more clarity about them: What am I saying, and what am I not saying? I am saying that Unitarian Universalism is a half-hearted religious movement. When I was a youth in the early 60's, it seemed that this book was on every Unitarian family's coffee table. Dearest UU's -- We can do what we need to do. We have done it before, many times. Actually, We are pretty good at it. Consider Occupy! which made us think about percentages, which made Romney's 47% comment so fatal. Consider the Ferguson resistance and Black Lives Matter ! which has pulled the Obama administration and the Democratic Party to the left on criminal justice issues. The beginning of the end of the George W. Bush's administration was when Cindy Sheahan camped out at his ranch. So now consider the demonstrations against Donald Trump. The pattern is that the largest and most confrontational have been in the Southwest. It is reported that Mexican flags are often present there. It seems to me that Trump's anti-Hispanic, particularly anti-Mexican animus, is being protested in the streets. Of course. If you advocate deporting 11 million people, they and their friends and families are going to take it personally. What we see now is the foreshadowing the massive resistance that would take place if Trump's deportation plan began to approach reality. They're talking about a new party again ! Some of the disappointed Sanders voters are going to start a new party ! Feel the excitement ! There has not been a successful new party start up in the United States since the formation of the Republican Party in 1854, 162 years ago. And History is littered with the bones of many an effort. There have been Marxist parties, Socialist parties, populist parties, progressive parties, candidate-based parties, centrist parties, reform parties, revolutionary parties, even the present Green party. And that's just on the center-left side of the spectrum. Some of those parties, like the Communist Party USA or the Socialist Workers Party are to be sustained presence, not by attracting voters in elections, but by creating a body of professional, or semi-professional, organizers united by a Leninist party structure. But no party, including them, has become an electoral power. There are significant new regulations coming about the hiring and compensation of employees that may well be beyond the ability of smaller UU congregations to handle. One area of new regulation is the use of overtime. In order to declare an employee exempt from the overtime requirements of the Fair Labor Standards Act, the position must meet certain requirements. Those requirements are being tightened, both in terms of overall salary and job definition. The practice of treating some church staff as exempt or salaried employees, paid a certain amount regardless of the number of hours they worked, will be harder to do within the law. Two of my recent posts dealt with issues that came up from at the Follow Up Conference on the Economic Sustainability of Ministry. The Rev. Sarah Lammert was one of the co-conveners on the conference and here is her preliminary report. Much to think about. May 4-6th, 2016 Twenty-five UU leaders gathered in a follow-up session to last year’s Summit on the Economic Sustainability of Ministry. A lively keynote address was offered as the kickoff event by Casper ter Kuile and Angie Thurston, authors of "How We Gather" and "Something More”. Two ideas to advance Economic Sustainability of Ministry. Two ideas came out of the recent Summit on Economic Sustainability of Ministry. #1. We need “OWL FOR MONEY”. There is a soul sickness and an ignorance about money in our society. We need to an educational program for different ages and circumstances that teaches about money and leads people in a process to discern their values and relationship to the economic dimensions of life. We can’t just talk about stewardship and generosity without working with people and their whole economic lives. Imagine a program that has sequences aimed at high schoolers, young adults, middle adults, retiring adults, lay leaders in congregations, and stewardship leaders. The UU World ran this article summarizing a recent poll about the political affiliations of various religious groupings in the USA. In brief, it shows that 84% of UU identify as Democrats. Only historic Black denominations are more Democratic. Who was surprised that UU's were as strongly affiliated with the Democratic Party as this poll shows? 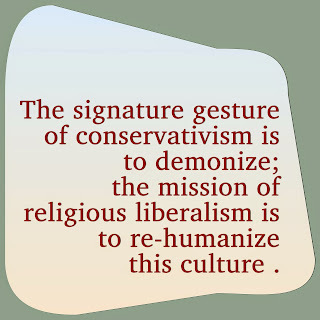 What one thinks about this probably has a lot to do with what you think the highest value of Unitarian Universalism is. If you think that inclusion and diversity is the highest value, then the poll is discouraging news. We are not very good at making Republicans welcome in our congregations.. But if you think that living our faith is the highest value, the poll shows our growing maturity as a faith community. 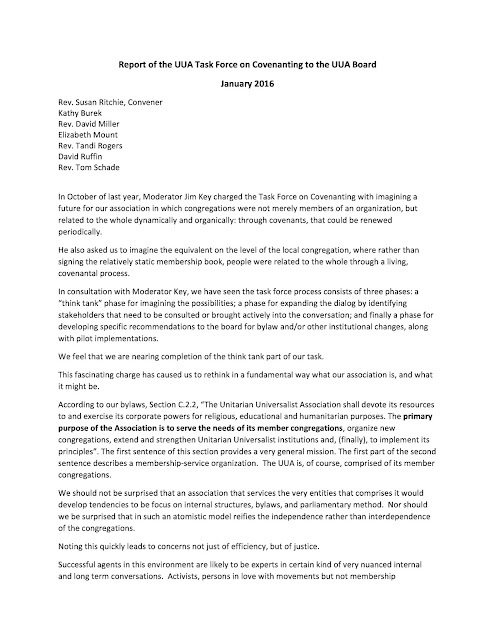 I have been serving on a little task force called forth by Jim Key and chaired by Susan Ritchie on reimagining the UUA organizing principles and methods. It's all very blue-sky and out there, but it has been a chance to step back and re-think that which seems permanent and unchangeable. The task force has met a couple of times and read some things together. Yesterday, Rev. Ritchie presented our very first report to the Board, a kind of progress report showing what we are thinking about. 1. UU Populism should be over. Previous UU Presidential elections have often been framed in populist terms. UU Populism imagines that some group of UU's are the powerful insiders and the rest of us are on the outside looking in. The reason why UUism is somehow failing is that the "insiders" are clinging to old ways, old methods, and old theologies. So, once it becomes clear who is the candidate of the "insiders", then you know who to vote for. The Morales/Hallman election was eventually cast in such terms. That populist frame for the election assumes that the powerful elite feels entitled to the UUA Presidency and has put forward a candidate out of that entitlement. The process by which the candidates come forward is hidden. 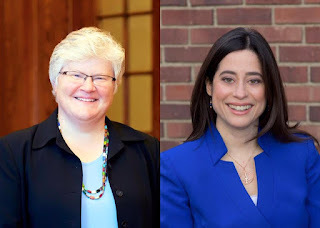 The UU Presidential Nominating Committee has announced its two nominees: Sue Phillips and Alison Miller. I know Sue well and worked with her when I served a church in New England. She would make a great UU President. I only know Allison Miller enough to embarrass myself by confusing her and her name with other UU ministers who have the same first name. Would she make a great UU President? Probably. After all, nearly everyone you would think of (and many you would not) was recommended to the Search Committee, given a chance to step forward and given careful consideration if they were interested. After a judicious process these are the two they chose. So I have to assume the best. I urge my friends to take it easy on endorsements too early. I am not criticizing anyone who has made one, but I think there is little value in them at this point. I suspect that they mostly reflect the networks of affection and experience that are already in place.